I'm getting that itch. You know the one... the one that finds you surfing Realtor.ca late at night. The one that makes your head spin when you spot a For Sale sign in your dream neighbourhood. We've been in this house for six years and it feels like we've only just recently "finished" our home. So why even entertain the thought of moving? Maybe its because we don't have a big renovation project on the horizon? Well, actually, we have the whole exterior to deal with. We haven't really done much except change the front door and add some basic seating and lighting to the back deck. And I'm not a big gardener so our backyard doesn't really interest me. Architect: Sharon McKenzie; Photo: Virginia McDonald. I tore this image from a 2008 issue of House & Home. It is still my favourite backyard ever. Much like the decision to have a baby, when do you decide its the right time to move house? I think I've always felt this wasn't our forever home, if only because it is a semi-detached. I crave a bit more space, a larger back yard, more lawn space to call my own. Oh - and a proper wide front entry because this teeny tiny closet is constantly spilling a mess of shoes, boots, coats, and hats into the hallway. 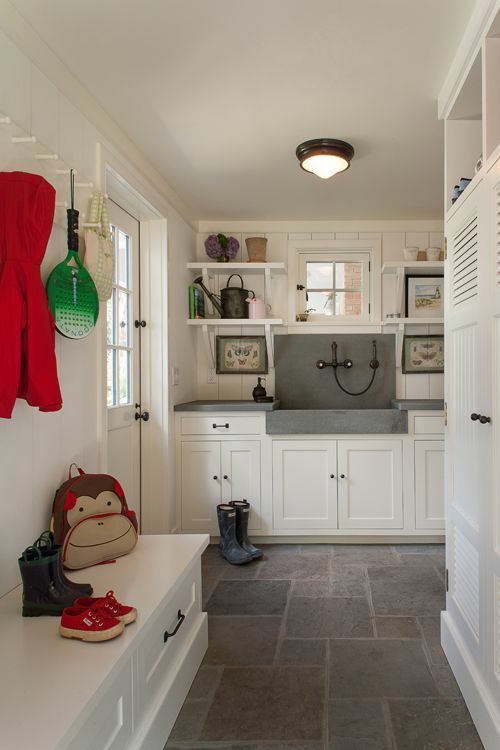 How I would love a large & functional mudroom like this. Original image source unknown. There's a lot of factors to consider too. Like the subway construction two blocks from my house that will take the better part of the next four years. Or the increased property values in our neighbourhood. Chloe will be in full-time kindergarten next September - does that make it a good time or a bad time to move? Maybe these things happen gradually and my feelings about leaving or staying in my house will ebb and flow like the daily tide. In the meantime, I'm sure I'll keep browsing the real estate sites for that centre-plan Georgian (or is it farmhouse with wraparound porch? I can't decide) at the perfect price point and keep filling my Pinterest boards with ideas for the next dream home. 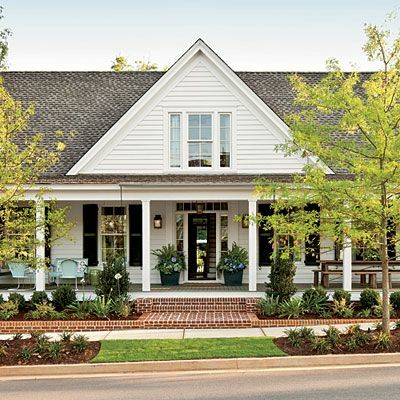 The Southern Living 2012 Idea House. I love everything about this house. Tell me - do you have thoughts of moving or do you know in your heart that you're finally "home"?